Elke Reva Sudin, Artist, Exec. 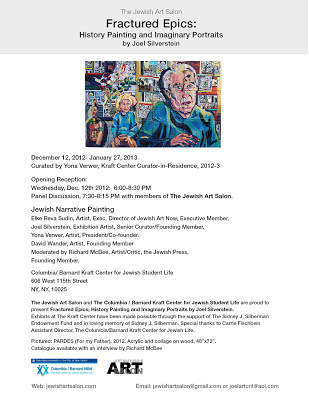 Director of Jewish Art Now, Executive Member. Exhibit curated by Yona Verwer, Kraft Center Curator-in-Residence, 2012-13. 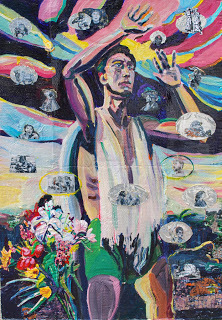 The exhibition culminates in a 10 foot mural entitled, Brighton Beach Exodus, 2007 channeling the large narrative works of Camille Corot, Greco-Roman Fayum Painting and movie stills from De Mille’s, The Ten Commandments, 1956. Another portion of the artist’s oeuvre is comprised of portraits. These are straightforward depictions of the artist’s friends and family as well as “made-up” or imagined historical fantasies of people who lived before current modes of artistic representation and photography. The artist blends “high and low” styles of art to evoke the miraculous, a state beyond the provable realms of truth or fantasy. Employing lush brushwork, high key color, and graphic iconography, Silverstein delivers the “hot” effects of traditional expressionism while embodying strong doses of postmodern narrative, irony and disjuncture. Fractured Epics suggests the longing for greatness and narrative inevitability in an age when grand narratives have been questioned, yet the desire for spiritual or metaphysical content remains. 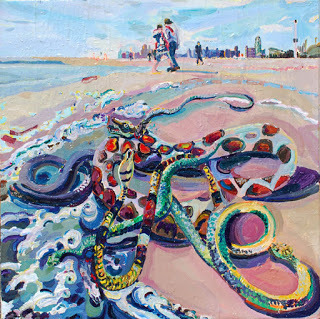 Silverstein is an artist/teacher and art writer. He has exhibited in many universities and galleries and has written over 60 articles, art reviews and catalogues for various publications. He is also a founding Member and Senior Curator of the Jewish Art Salon, an organization comprised of over 800 art professionals on four continents. 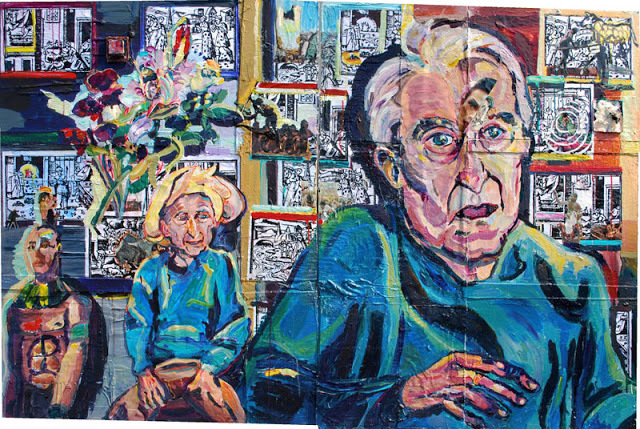 A notable figure in the contemporary Jewish Art scene, Silverstein has Co-Curated four exhibitions which culminated in The Dura Europos Project for the Philadelphia Museum of Jewish Art and the UJA Federation, NY. The Dura Project was chosen by CAJM, the Council of American Jewish Museums for their annual conference in February, 2011. The catalogue for Fractured Epics is currently available, with an interview by Richard McBee.